The closing concert and one of the highlights of this year’s Herts Jazz Festival will take place on Sunday 15 October. 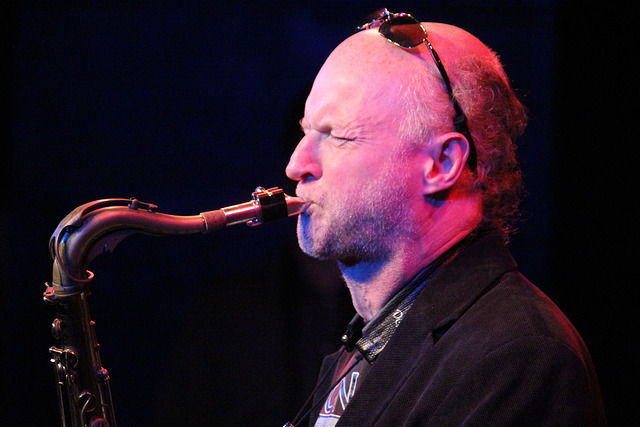 Saxophonist MORNINGTON LOCKETT has devised a programme in celebration of one of his heroes and mentors, the late great Scottish saxophonist, Bobby Wellins. It will feature several long-term and close musical colleagues of Bobby's: Clark Tracey, Spike Wells, Art Themen, Andrew Cleyndert, and Mark Edwards, plus the Purcell School of Music Big Band. Mike O'Brien interviewed him. 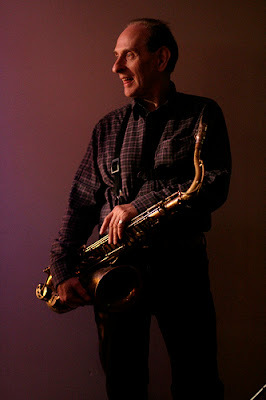 LondonJazz News: You studied jazz saxophone with Bobby in the 80s. How did you find him as a teacher, and what were the most important lessons you learnt? Mornington Lockett: When I first heard Bobby live in 1981 he was flying high. He had just landed a composer-in-residence post at York University and his new band with Peter Jacobsen was the hippest thing around. For me it was as if all the light bulbs had been switched on at once in a darkened room. It was all about sound, colour, harmony, swing, but most of all that visceral emotion that pierced you through the heart like a laser. I was desperate to learn how it was all done. Bobby was incredibly generous both with his time, and in sharing his secrets. I used to go and stay at his house in Bognor Regis and the lessons would basically last a whole day. Bobby even gave me a vintage metal Selmer mouthpiece as a present, to help me get a better sound. I still use some of the things he taught me every day. LJN: When did you first play professionally with Bobby? ML: I did not play with Bobby properly, I don't think, until I became involved with the Stan Tracey operation. We played as a quintet a number of times, which was a fantastic experience, and back to school again for me every gig. I will always remember Bobby playing Three Blind Mice in a major key over a minor blues and glaring into the crowd, as if to say: "What do you think of that, folks?" That was Bobby all over, and Stan taught me that too: you make up the music as you go along, not according to anyone else's rules. LJN: What was special about Bobby’s style of playing? ML: Bobby had a thoroughly original style and approach. Like his great contemporaries, Don Weller and Art Themen, Bobby taught himself, as there were no jazz colleges. Bobby worked out all those Herbie Hancock and Wayne Shorter chords on the piano, his own way. His theoretical concept was completely thought through, from the bottom up. However it was the emotional depth and honesty in Bobby's sound that set him apart. Very few musicians speak to you like he could. Perhaps the starkest Miles Davis ballads from the late '50s come close but I can't think of anything else. LJN: How did the plans for this concert evolve? ML: Clark Tracey approached me out of the blue to put on this concert, after the emotional Bobby Wellins memorial concert at the 606. It is a huge honour, but also a massive 'ask'. Bobby was a renaissance master of British music, a Da Vinci, and here I am with my little paint-by-numbers kit! LJN: What is the plan for the first half of the concert - with quintet? ML: Luckily I have secured the services of the legendary Spike Wells, from the original quartet, one of those few musicians, like Bobby, who can elevate the whole experience onto another plane. Mark Edwards and Andrew Cleyndert will also be joining me, who both have a long association with Bobby, and the great Art Themen will be helping us to recreate the wonderful quintet Bobby had with Don Weller. There is a wealth of amazing music to chose from. Bobby's daughter, Fiona, has been kind enough to lend me some original scores, and has suggested a couple of pieces we might include. ML: The Culloden Moor Suite was written as a sextet, with Lol Coxhill on soprano, and Bryan Spring (joining Spike Wells) as a second drummer, playing Scottish snare drum and a variety of exotic percussion. Pete Jacobsen played piano and Fender Rhodes. The result was incredibly exciting and evocative music. I have never heard anything quite like it in any genre. The Herts Jazz Festival takes place on 13-15 October 2017 at the Hawthorne Theatre in Welwyn Garden City. The concert in celebration of Bobby Wellins is on Sunday 15 October at 7:45 pm.